The first rulers listed in Genesis 4-6 lived in the Chad Basin during the late Holocene. This includes Kain, Seth, Enoch and Noah. At that time Lake Chad had an area of close to 200,000 miles. 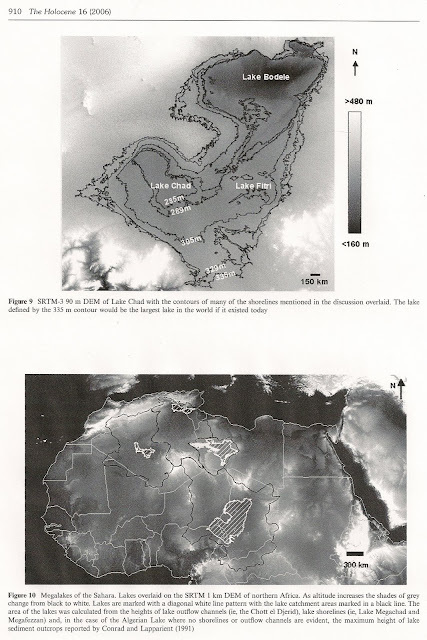 As the climate changed and the water level receded, what was once a single lake became at least three separate lakes: Lake Chad, Lake Bodele and Lake Fitri. The 10,000 year skeletons unearthed by Paul Sereno at Gobero in Niger were buried on the edge of a paleolake on the northwestern rim of the Chad Basin. The Gobero site is the earliest known cemetery in the Sahara and the large lake was likely another part of Lake Mega-Chad. Noah and the other Chadic rulers of Genesis controlled commerce on the interconnected waters systems. These were their roads by which they conquered other territories and spread their worldview. Chadic is one of the best researched branches of the Afro-Asiatic language phylum. According to Genesis, the first rulers: Kain, Seth and Enoch are associated with the region where Chadic is spoken. 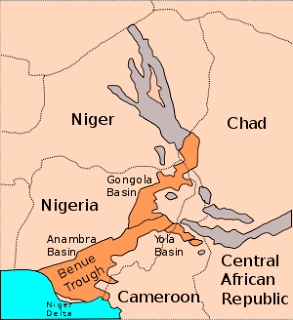 This includes Chad, Northern Cameroon, Northern Nigeria, and Southeastern Niger in an area around Lake Chad. The area is called Bor'No, which means "Land of Noah." This is the only region on Earth that has place names reflecting the rulers listed in Genesis 4 and 5. Chadic is the most diversified of the Afro-Asiatic languages and considered the most ancient subgroup within the Afro-Asiatic phylum. The antiquity of Chadic river populations is attested by the discovery of an 8000 year old black mohagany dugout in Dufuna in the Upper Yobe valley along the Komadugu Guna River in Northern Nigeria. This region was much wetter at the time that the rulers listed in Genesis lived there. 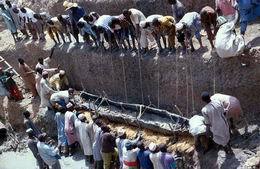 The "Dufuna boat" is about 4000 years older than the oldest boat found in Egypt. It was a time when the major water systems of West Central Africa were connected. Around 8000 years ago Lake Chad had an area of 249,000 miles (400,000 km) and a depth of 586 feet. The Komadugu Guna River connected Lake Chad and the Benue Trough, making it possible to travel by boat from Lake Chad to the Atlantic Ocean. Genesis tells the story of how Kain left his home and went eastward to a place where he married the daughter of a Chadic chief named Nok (Enoch) and built and named a "city" after his firstborn son Enoch. Enoch the Younger was named by Kain's wife after her father, indicating that she was Kain's cousin and her firstborn was heir to the throne of his maternal grandfather. We can place Kain and Enoch in the region of Northern Nigeria (Nok and Kano). Genesis then tells us about Lamech who had two wives, typical of the pattern of the Chadic rulers. By one wife he had a daughter named Naamah who married her patrilineal cousin or uncle Methuselah and named their firstborn son Lamech, after her father. Lamech the Younger was the heir to the throne of his maternal grandfather. Lamech the Younger was the father of Noah, a Chadic ruler whose terriotry included Bor'No, meaning "Land of Noah." It is in the region of Lake Chad, which at the time that Noah lived was a very large lake. Noah's flood was likely the result of a monsoon which swelled the lake region over which Noah ruled. Noah's three sons were Ham, Shem and Japheth. Ham and Shem appear to have been the firstborn sons by two different wives and the leading Chadic lines descending from Noah. The exclusive intermarriage of their lines has been confirmed by analysis of the Genesis 4 and 5 data and by mtDNA studies. The mtDNA (L3f) of Chadic speaking populations involves a relatively homogenous group, with lower diversification than the other Afro-Asiatic branches, including the Semitic and Kushitic. The most recent common ancestor (TMRCA) of the L3f dates to about 8000 years ago, the same time period that Noah would have lived with his two wives to whom he was related by blood. These rulers had two wives. This meant that there were two first born sons. The son of the first wife ascended to the throne of his biological father. The first born son of the second wife served as a sort of Prime Minister in the kingdom or territory of his maternal grandfather, after whom he was named. Other sons were sent-away. As Ham and Shem were the ruling sons, Japheth was likely a sent-away son who moved into the Upper Nile region where some of his descendants have been identified as the Magyar-ab (the Magyar people). Likely there was intermarriage between Nilotic peoples and Chadic, especially in the case of Japheth. This has been confirmed by mtDNA studies of the L3f haplogroup that show that the only non-Chad Basin sequence in the L3f3 subhaplogroup is from the Upper Nile or Nubia. The TMRCA of the L3f3 sub-haplogroup is 8,000 years ago, which aligns with the data from the Genesis 4-5 king lists, as well as the evidence from archaeology, linguistics and biblical anthropology. Ancient Nubians included red, black, and brown people. Other of Japheth's descendants moved north into what is today the region of Hungary. Hungarians called themselves "Magyar." Your ancestors likely originated in the Chad Basin. This haplogroup is very rare outside the Chad Basin, except among people who migrated from there and practiced endogamy. The peoples of the Chad Basin before the time of Abraham are called "Proto-Saharans" and included many different clans. Probably most were related by blood and marriage. The term "Kushite" comes later. Kushite kings were the first to unite the peoples of the Nile Valley. Alice thank you for your comment. It is indeed exciting to know that ny ancestors most likely originated from tha Chad Basin. Can you tell me what tribes were there at the time?. I am not sure what Proto Saharan means?. It is not possible to say which tribes/clans were there at the time when your ancestors lived in the Chad Basin. That is too long ago. The tribes/clans that live there now are not necessarily the original peoples. There has been much movement of peoples into Africa, out of Africa, and around Africa in the past 12,000 years. The Biblical information indicates that the first known Proto-Saharan rulers were Cain and Seth who married their cousins, the daughters of a great Proto-Saharan chief named Nok (Enoch in Hebrew). The Nok civilization found in the Chad Basin and in Niger likely dates to the end of the territory originally established by Chief Nok. He would have ruled around 3000 B.C. The Nok civilization is dated to about 1200 years ago but has earlier antecedents as evidenced by discoveries in an "increasingly larger area" of Nok cultural influence that includes the Middle Niger Valley and the Lower Benue Valley. Hi Alice and thank you for your comments. Would it be fair to ay that my haplogroup was amingst the daoghters of Horite priests? and that thay were connected to the Kushites. Do you suppose my ancestors were connected to this female population? It would be safe to say that Kushite women were among your ancestors and that some of your male ancestors may have married the daughters of Horite ruler-priests, but only if your ancestors were Horites. Hi Alice and thank you for your comment. Who were the Horites and where did they come from? I doubt I would be able to trace my ancestors to Horite Priests. I have been researching my family roots for atleast 15 yeras now and I find genealogy very exciting and interesting. My father did have a DNA performed on his paternal side and he was assigned R1B his maternal side was R1B. My moms brother had to take a DNA test to find out the haplogroup for my moms paternal side and he was assigned E3a. Any suggestions you have would be greatly appreciated. You ask great questions and I wish I had the answers. The Horites were a caste of ruler-priests who were devotees of Horus (Orisha in the Yoruba pantheon). They appear to have originated in the Sudan, northern Nigeria, Chad Basin region of Africa. Both Jews and Arabs have Horite blood. This is identified by the Kohen gene. Some Africans also have Horite blood. The RB1 group is associated with the Yoruba and Igbo, if I'm not mistaken.